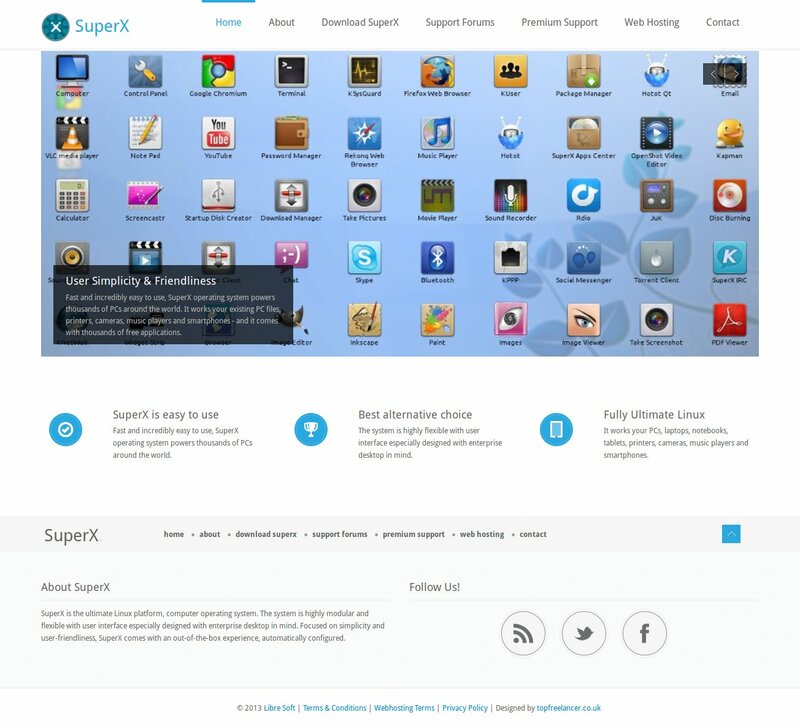 Superx os is based on ubuntu linux running KDE Plasma Netbook as a desktop environment. I come to this project when it was on edge of dead. I created beautiful minimalistic responsive Monstra CMS theme based on bootstrap and I've managed to get site back to life. However after few months owner of this website managed to loose all of its content due to some mysterious and unexplained “events”. After those “events” I decided to not support this project any more.